So instead of just past midnight on March 13, 2011, the water may have stopped 6 hours earlier, on the night of March 12, 2011, a few hours after the Reactor 1 building blew up in an hydrogen explosion (which may have happened on the 4th floor instead of the 5th, top floor). It has been revealed by analysis by TEPCO and others that the blank in water injection into the Reactor 3 RPV may have been 12 hours in March 2011 in the Fukushima I Nuclear Power Plant accident. The blank in water injection into Reactor 3 is said to have been for 6.5 hours starting in the early hours of March 13, 2011. However, the data on water levels recorded by the operator at that time surfaced in fall last year, which shows the water injection may have stopped max 6 hours earlier, on the night on March 12, 2011. TEPCO's current analysis shows the core melt of Reactor 3 started in the morning of March 13, 2011. The company plans to redo the analysis based on the new condition that the water injection may have stopped earlier. Depending on the result of the new analysis, it is possible that the conditions to estimate the dispersion of radioactive materials will change. Regarding TEPCO's investigation [of the accident], the independent accident investigation commission set up by the Cabinet Office pointed out in the final report issued in July last year that "the investigation of the accident is not enough, and there are issues and data still to be studied". All I can say is that the investigation commission is correct. Even though there was no MOX fuel in the Reactor 3 Spent Fuel Pool at the time of the accident, it was in the Reactor Pressure Vessel, being used in generating power. Back in May 26, 2011, Mainichi English reported that TEPCO admitted the pipe connected to the High Pressure Coolant Injection system (HPCI) for the Reactor 3 probably broke during the earthquake (see my post on that day). On March 13, 2011 at 12:55PM, TEPCO discovered that 1.9 meter of the fuel rods in Reactor 3 were exposed, and at 1:12PM they started to pour seawater into the RPV (see my post that day). Well, that 1.9 meter exposure was false, in retrospect. Now, TEPCO is saying the water may have stopped much earlier than 2:44AM on March 13, 2011 when the HPCI stopped. Or are they saying the HPCI itself stopped much earlier? Or are they saying water ran out (as the pipe to the HPCI had been broken in the earthquake) before the HPCI stopped? I'm looking forward to TEPCO's new and improved analysis. I want to know the true timeline of events, which is clear as mud after more than two years since the start of the nuclear accident. Whether you like it or not, TEPCO remains unfortunately the only source of information when it comes to Fukushima I Nuke Plant. And today, Zero Hedge has another version of ANA ad for me - "Find Your Angle". In addition to the top banner, there is also a square banner on the right side, with a young girl with a blank face with color-contact-lense-augmented blank eyes in a maid costume. For those who don't know about "maid cafes" in Japan that have cropped up in the past 10 years or so, they are outfits where customers can engage in a conversation, play games with young girls (as young as high school students) and women dressed as maids who work at these outfits. Some cafes offer alcohol beverages. There are "maid cafes" specialized in giving hand and foot massages. Some apparently give more than hand and foot massages. Maid cafes like this one in Akihabara say "We're waiting for the return of our masters". I personally find it very insulting and demeaning for girls in particular, but if you read Japanese commentaries on the subject, you'll find these cafes are lauded as empowering for young girls and women. These "maid cafes" have totally ruined my favorite town Akihabara, as far as I'm concerned, which used to be just the place for tech geeks of all ages. Then I remember the pledge by the Japanese national government to promote "Cool Japan" (a fine example of Japlish, the meaning of which is only known - no, actually guessed at - by the Japanese). ANA, I believe, is doing the bidding of the government by launching this ad campaign which is possibly being paid for by the government. TEPCO still doesn't know what caused the power failure and how, therefore does not have measures in place to prevent any future power failure. Pressure from the national government was clearly on the operator to just start cooling and not worry about minor details like what caused the failure. Ad hoc has been the name of the game for the past two years. Why change now? The power outage this time was the most severe since the start of the accident. However, the cause of the outage hasn't been identified. 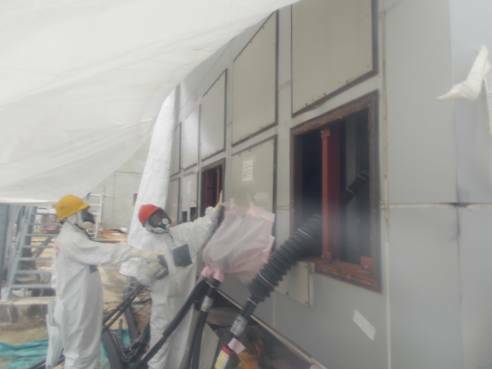 According to TEPCO, there was no visible sign of abnormality in the temporary switchboard that is connected to Reactors 3 and 4, where a trouble that led to the power outage was thought to have started. 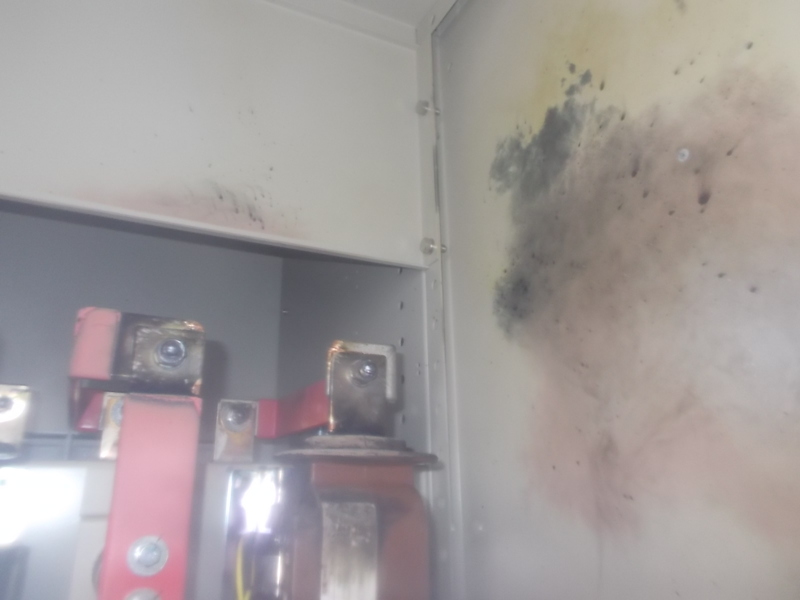 The company had initially planned to identify the cause, install measures to prevent future problems, and then turn the power back on. 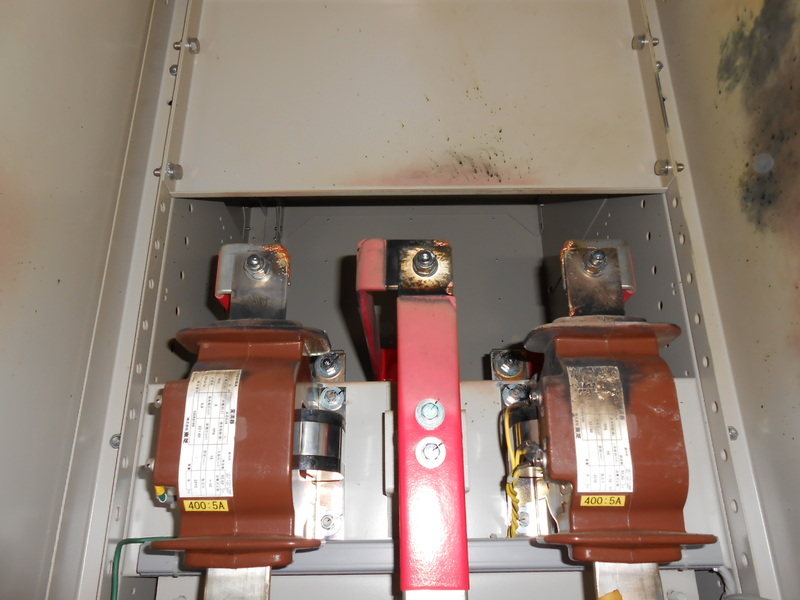 However, restoring the power was given the priority, and the cooling systems were connected to a different switchboard, circumventing the temporary switchboard. The particular temporary switchboard is "3/4 M/C (A)" (M/C stands for "metal clad"). The location (or connection) of the switchboard in the overall electrical system looks different in the two different diagrams below. Either way, I don't quite understand why Reactor 1 should be affected by the failure of this switchboard, as the Reactor 1 cooling system does not appear to be connected to this switchboard. Cyprus Utterly Rejects EU Demand for Deposit Haircut, ECB Says It Will Still Help "Within Certain Limits"
Whatever that means. The stock market algos liked this help "within certain limits", and Dow Jones Industrial ended up 3 points up for the day. Abstentions were from the ruling party. BERLIN (Reuters) - The European Central Bank said on Tuesday after Cypriot lawmakers overwhelmingly rejected a key element of a proposed bailout that it was in contact with its IMF and EU partners and remained committed to providing liquidity within certain limits. "The ECB takes note of the decision of the Cypriot parliament and is in contact with its troika partners," the bank said in a statement. "The ECB reaffirms its commitment to provide liquidity as needed within the existing rules. By the way, I think I know now why the reporting on the deposit confiscation in Cyprus has been very much subdued and equivocal in Japan. Japan is about the only country in the world that instituted the one-off, much more punitively progressive tax on wealth including bank deposits successfully, right after the World War II under the US occupation (GHQ) in 1946. Anyone with the accumulated wealth (not necessarily in cash, but in goods and real properties) of 100,000 yen (probably today's 100 million yen, or about US$1.05 million) got 10% of it taken by the government. Unlike Cyprus, it was progressive, and the highest bracket was 90%. The 90% confiscation of one's wealth was justified by GHQ as "punishment" for profiting from the war. It didn't matter to them that most people whose wealth were confiscated had nothing to do with profiting from the war. (UPDATE-2) Common Spent Fuel Pool cooling is scheduled to resume at 8AM on March 20. At about 2:20PM on March 19, power was back on at Fukushima I Nuclear Power Plant. Cooling of Reactor 1 Spent Fuel Pool resumed. No information about other Spent Fuel Pools or other facilities. No details as to what caused the power failure to begin with. Chief Cabinet Minister's Word on #Fukushima I Nuke Plant's Power Outage: "There Is No Worry, In a Way"
Totally incomprehensible remark from Chief Cabinet Secretary Yoshihide Suga during the morning press conference on March 19, 2013. Chief Cabinet Secretary Yoshihide Suga said during the press conference in the morning of March 19 about the power outage at Fukushima I Nuke Plant, "Since we are going to thoroughly prepare for the alternative methods of cooling, there is absolutely no worry, in a way." Here I thought the redundant methods of cooling, not to mention the redundant power supplies, had long been installed at the plant. Maybe Mr. Suga meant the alternative methods of cooling by the new LDP administration under Mr. Abe. What he means by "in a way" is totally lost on me. Power is not back on yet, and the TEPCO spokesman says they haven't identified the location of the problem though they are narrowing down. The temperature of Reactor 4's SFP is 30 degrees Celsius, up 5 degrees since the power outage. The spokesman seems to be regurgitating what he was told to say without understanding any of it, and it is evident by the way he tries to answer questions from the reporters. Needless to say, Chief Cabinet Secretary doesn't seem to have a clue of what he's saying, either. And as usual, there are people on Twitter spreading wild information like "They've been doing the vent! It's dangerous!" and people retweeting anxiously. I guess nobody has a clue. (UPDATE-4) As of 2:20PM on March 19, 2013, cooling of Reactor 1's Spent Fuel Pool resumed. No information about other SFPs and facilities affected by the power outage. (UPDATE-3) The temperature of Reactor 4's SFP is 30 degrees Celsius, up 5 degrees since the power outage. In June 2012, cooling of the Reactor 4 SFP stopped for about 30 hours when the pump of the secondary cooling system burned out. (UPDATE) Jiji Tsushin says the water temperature of Reactor 4's Spent Fuel Pool (the "hottest") is about 25 degrees Celsius. The safety standard for the SFP temperature is 65 degrees Celsius, and it is estimated it will take about 4 days without power to reach that temperature. In the Reactor 4 SFP, both used and new fuel assemblies are under 7 meters (23 feet) of water. Fuel assemblies are 4-meter (13 feet) long. According to the plant operator (announcement from May 2012, in Japanese only), it takes about 3 weeks for the water 5 meter deep (i.e. still leaving 2 meters of water above the fuel assemblies) to evaporate. The common pool has old fuel assemblies whose decay heat is already very low. TEPCO announced on March 18 that there was a power outage at Fukushima I Nuclear Power Plant slightly before 7PM. Cooling systems for the spent fuel pools in Reactors 1, 3, 4 has stopped, and as of 12:25AM on March 19 there is no knowing when the systems will be back. Power went out also in Anti-Seismic Building temporarily but it came back on quickly. According to the Nuclear Regulatory Agency, there is no problem in injecting water into the reactors. Cooling of the common spent fuel pool, which contains 6,377 fuel assemblies, has also stopped. 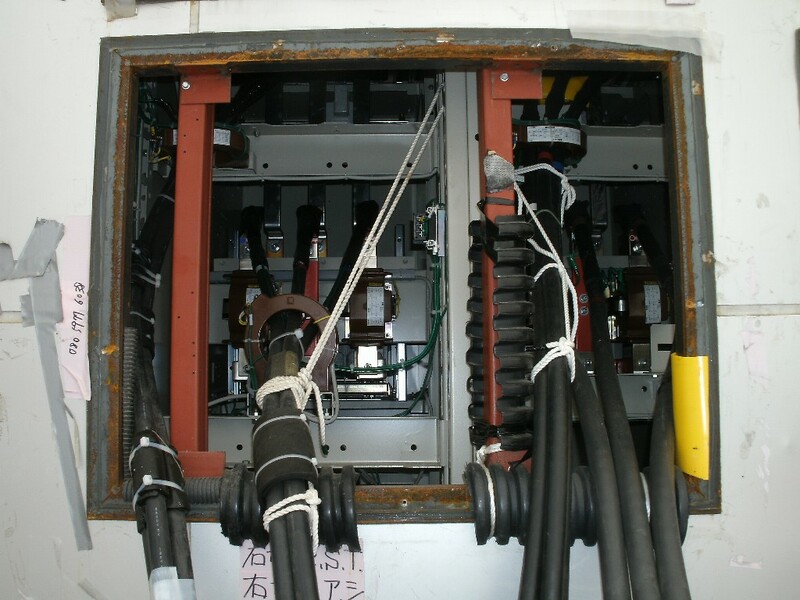 According to TEPCO, the problem could be either the switchboard or the cables connected to the switchboard. 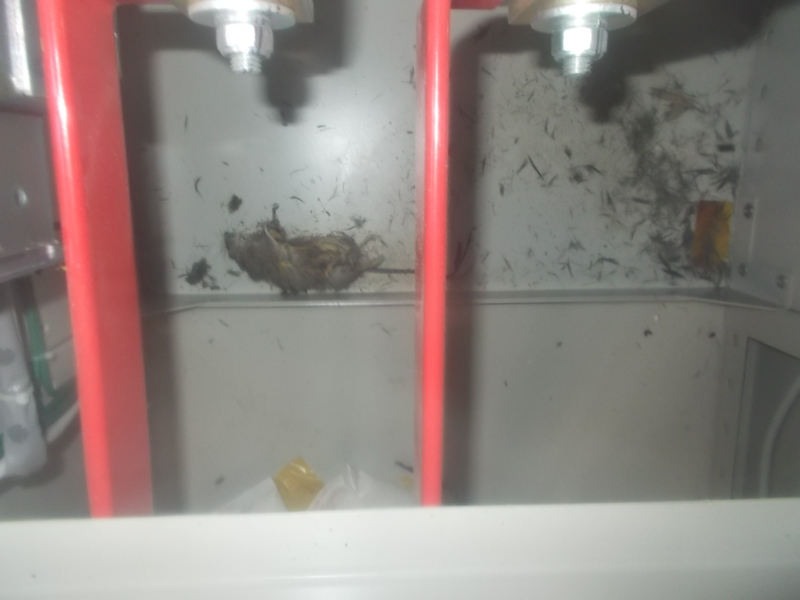 Both the Nuclear Regulatory Agency and TEPCO have been unable to identify the cause. TEPCO announced the power outage after 10PM, three hours after it had taken place. The plant receives its electricity from Tohoku Electric Power Company. There is no problem receiving this external power. So that was the occasion for the "blank" videos that TEPCO uploaded two days ago. I didn't pay much attention until I saw the tweets today by Mr. Hiroshi Kawauchi, former DPJ member of the Japanese Diet Lower House from Kagoshima Prefecture who lost in the December 2012 election along with many of his party. Mr. Kawauchi is not too happy, and says another trip will be arranged with TEPCO. In the meantime, he has tweeted what he found on his March 13, 2013 visit to the Reactor 1 building. He now thinks it was on the 4th floor of the building that a hydrogen explosion took place, not the top 5th floor as has always been assumed. The 4th floor is where the Isolation Condenser (IC) is located. Report on my visit to Fukushima I Nuke Plant Reactor 1 building. What's been revealed [to me] in this visit is that the hydrogen explosion of Reactor 1 may have happened not on the top 5th floor but on the one below, on the 4th floor where the Isolation Condenser is located. I'd like to submit two reasons why I think that way. Between the 4th and 5th floor - in other words the ceiling of the 4th floor which is the floor of the 5th floor, there is a huge hole to bring large equipment through. This opening is 5 meters square (5 x 5). When it is in use, handrails are installed to prevent falls, as required by the Industrial Safety and Health Law. When not in use, the opening is covered with the steel plate weighing 1.5 tonnes. In other words, presence or absence of the handrails would indicate whether the opening was open or closed [when the explosion took place]. So, which was it? On the 4th floor and looking up at the ceiling, I saw the 5x5 opening open. How about the handrails? There were no handrails. No handrails means the opening was closed with the steel plate. Why wasn't the steel plate there? Is it because it was blown off by the hydrogen explosion on the 4th floor? It is natural to think this [steel plate covering the] opening on the 4th floor ceiling which is the 5th floor floor to carry large equipment through was blown upward by the hydrogen explosion on the 4th floor, therefore it is open now. In fact, in a testimony in the National Diet accident investigation commission, the person in charge of the work testified that they had closed the opening with the steel plate. In my visit, this testimony was confirmed. ... I believe this turning up of the covering material is definitely from the explosion. It makes more sense to think the hydrogen explosion of the Reactor 1 building happened not on the top 5th floor but on the 4th floor where the Isolation Condenser is located. Recall the video of the explosion, which spread in horizontal direction. TEPCO workers who accompanied me admitted that the possibility couldn't be denied. There are other things I saw and confirmed in person that I need to report to you, but that has to wait until next time. However, if the hydrogen explosion did take place not on the 5th floor but on the 4th floor, we have to figure out why hydrogen had accumulated on the 4th floor. That cannot be explained by the explanations so far by the government or TEPCO. What difference does it make at this point, you may ask? That is indeed the rhetorical question some of the tweets to him ask. After more than two years since Reactor 1 blew up, we still don't know how that happened. Many details of the accident are still not clear (and not many are interested in knowing), and many influential experts, journalists, bloggers base their pronouncements on the accident or the radiation contamination on assumptions and hearsay. Without knowing and understanding exactly what happened and how, I don't believe there can be a "recovery". People in Japan will simply repeat a one-issue mantra of "beyond nuclear", without knowing and understanding exactly what has happened to them and their land because of that "nuclear". It was good that Mr. Kawauchi was able to go inside the reactor building. It would be even better if he could bring along an explosion expert like Professor Tsuruda. 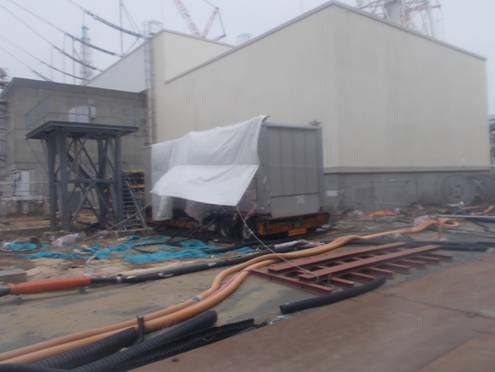 At 3PM 3/12/11, about 30 minutes before the explosion took place, TEPCO (the power company) announced that it was successful in relieving the pressure in the fuel core container. The fuel rods are half-exposed, due to lower water level. The problem, Ms. Merkel, is that depositors and savers in Cyprus are NOT responsible for the banks' failure. But with her domestic election consideration to appeal to German savers, she quite willingly throws foreign savers under the bus. Nice. I suppose those German expats and retirees in Cyprus would be more than happy to be run over by the bus to do their fair share. So much for the EU solidarity. The UK's Daily Mail says the UK government will compensate 3,000 British military personnel for the haircut but 60,000 other Britons who hold accounts in Cypress are on their own. UK taxpayers will have to compensate thousands of Britons hit by a shock raid on bank accounts in Cyprus. The debt-stricken island, which is home to around 3,000 British military personnel and civil servants, is being given an £8.7billion EU rescue package. But – in a move condemned as ‘robbery’ – Germany says it will not fund the emergency deal unless every saver with a deposit account contributes via a bank tax. ...In response to cries of outrage, Cypriot president Nicos Anastasiades was last night trying to amend the bailout tax to limit the pain for small depositors. But Angela Merkel insisted it was right that all depositors in Cypriot banks should share the responsibility of bailing out the state. Germany's Commerzbank suggests Italy be the next, skipping the periphery. Japan's Nikkei opened Monday over 200 points down, and are staying down at minus 264. The US Dow futures is down 127, the UK's FTSE futures down 110 points. By the way, Nikkei Shinbun calls this theft very mildly as "surcharge" (課徴金).